Gracie told me she was more than ok with changing the header image on this blog to honor her friend, and the world’s most joyful dog, Bally. I really don’t think I’ve ever met – or will ever meet – another dog as happy as Bally. Honestly, I don’t think it was possible for anyone who met her not to burst into giggles. Her joie de vivre was so contagious and sincere that I don’t even think the world’s most hardened, self-proclaimed dog hater could have done anything in her presence but fall in love with her. For me, today started with learning that sad news that Bally’s long battle with her terrible illness was coming to an end. The day’s news got worse with the devastating story out of Boston. How do we go on when things seem so heartbreaking and we feel so helpless? I think we do so by remembering that there are good things in this world, in this life. One of those things that reminds me that life is good and worth living is the love of a wonderful dog. Rest, Bally. And thank you for letting us know you. Such heartbreaking news. Bally will be so very missed. She was such a love. I’m grateful to have known her. Rest, indeed, sweet Bally. We love you. The woman who has been cleaning our house the last couple years came to us with an uneasiness about dogs. I could tell she was very leery about being alone in the house with Bally. 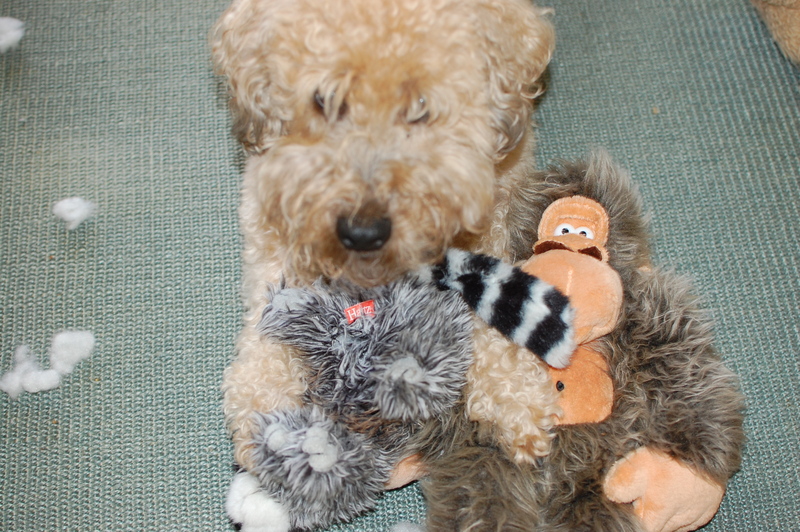 (I didn’t tell Bally that…I believe she would have been unduly confused). Although I was rarely home when Marina came, occasionally I was still upstairs when she came in the front door. Singing out Bally’s name. They played together on the floor before Marina got ready to work. She left a note today — she cannot write to us in English and struggles to write in Spanish– I thought I’d be able to copy and paste it here but can’t, at least on my phone. It was very sweet. Another person won over by such a lovable little dog. That is the sweetest story. It was impossible not to love Bally. Literally, impossible. She always made me laugh. I LOVED having her sleepover. Sometimes it meant Aaron got pushed out to the couch because Bally and Gracie each needed their space, but I don’t think he minded. It was too cute. One of my favorite Bally moments – and I don’t think she’ll mind me telling this because it really was adorable – was from a time when Bally was staying over at our place. Steve came to pick her up and, naturally, rang the doorbell. Both dogs went into barking dog mode, undoubtedly fueled on by the other. Bally, not being completely familiar with our place, situated herself near the back door with her barks. Well, Steve came in the front door and was greeted by Gracie’s jumps and pleas for attention. All the while, Bally continued to bark at the back door. Steve had to shout a few times at her before she realized Her Person was in the house. Hee hee. It was hilarious. And true to Bally form, she instantly set her tail and bum a-waggin’ as if nothing had happened. She was one adorable Wheaten.